Calling all chocolate lovers! Chocolate Silk Greens™ is delicious (both hot and cold) in your favorite milk or milk alternative. You can shake it up with water or blend with ice for a cold summer treat. 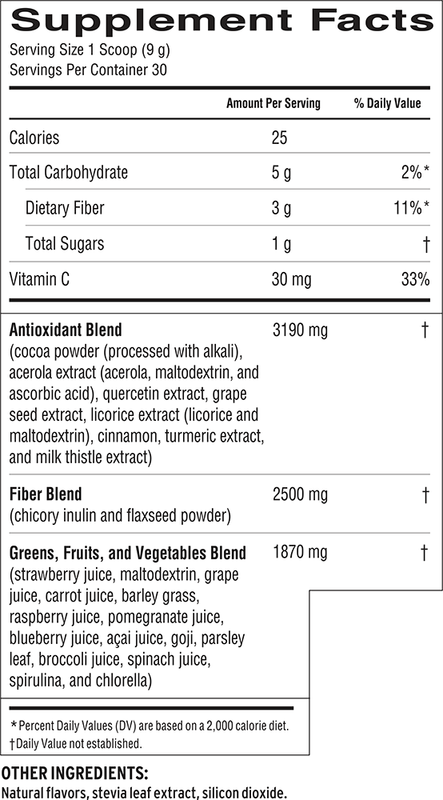 It’s also loaded with a rich chocolate taste and antioxidants from fair-trade cocoa, plus nutrients from more than a dozen fruits and veggies. 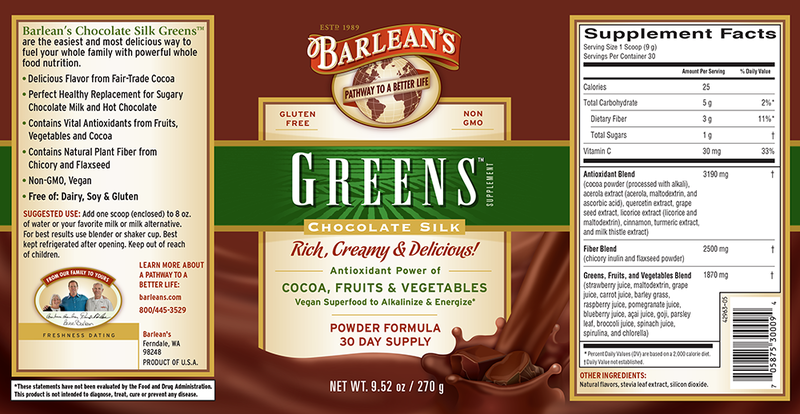 Get Your Greens On with Barlean's!